Stories in Musicals! – CPA Theatricals, Inc.
C reating and developing a new musical is magical and exciting. It is also painfully difficult. The great musicals (HAMILTON, HELLO DOLLY, OKLAHOMA!) all took a great deal of time and work. And even then they are also not perfect. (When I heard Lin Manuel Miranda say that there were a bunch of things that he would “fix” in HAMILTON now that he can look at the piece with some distance, I was shocked.) But all musicals must start somewhere. More than anything they must start with a story. I just heard a webinar interview with Betsy Militello from the National Alliance for Musicals. And when she was asked about what makes “great” musicals, she replied something like “it’s all about the story. 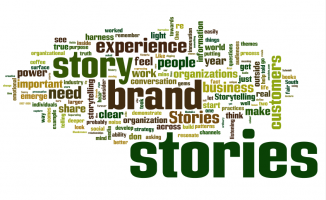 You may have a great composer, a very talented lyricist, and a strong book-writer, but it all comes down to the story.” Stories are what bring audiences to see shows. 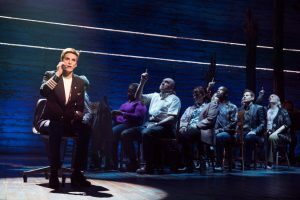 A great example of this is COME FROM AWAY – the magnificent Broadway musical that tells the story of the city of Gander, Newfoundland and how a whole community (population 10,000) came together to support about 7,000 passengers as they were grounded right after the tragedy of 9/11. The show is a huge success on Broadway – with no stars, no dazzling sets or costumes, but it has a compelling story. So, as a story teller (that is really my strength, I am not a great writer), I love to listen to people’s thoughts and adventures. One of the new musicals that CPA Theatricals is developing is a show tentatively called GIRLHOOD. It will be about the journey of girls from middle school to high school and to college. Because I am not a girl (or in middle school) I have been conducting a series of interviews with girls and young women to gather their stories. As I listen to their thoughts, desires, fears, ambitions, critiques, wants, loves, etc. I am amazed at how similar the stories are and yet how unique and individual each one is. I am also shocked about their intelligence. These young girls speaking in advanced vocabulary about complex ideas. One 12 year old girl told me something like, “I am more afraid of regret than failure.” That just blew my mind. Courage. Ambition. Many other words come to mind. And a song was born. That is how stories are created.